Looking for a remedy for what ails you? Look no further than your own pantry. Some of the most nutritious foods are great topical remedies and hair treatments. 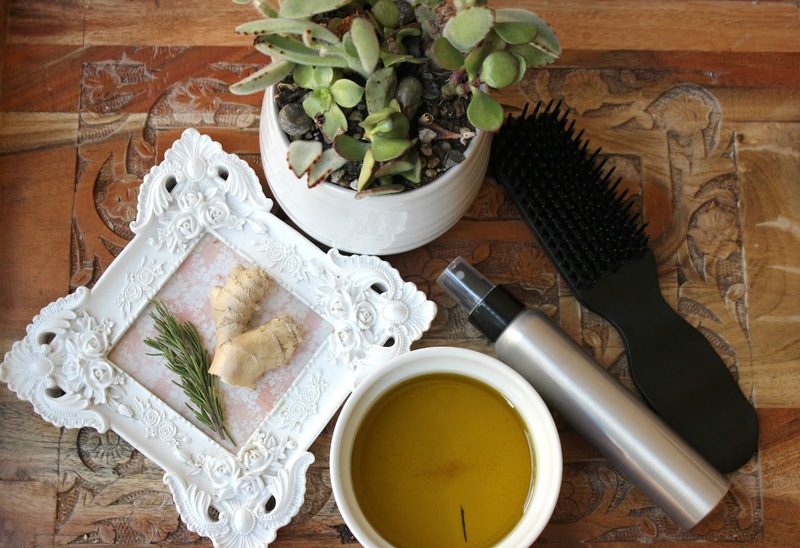 Try these two DIY pre-shampoo treatments for thinning hair. Ginger encourages blood circulation which helps stimulate hair growth. Blood flow also directs nutrients and oxygen to the surface, nourishing the scalp and hair follicles. 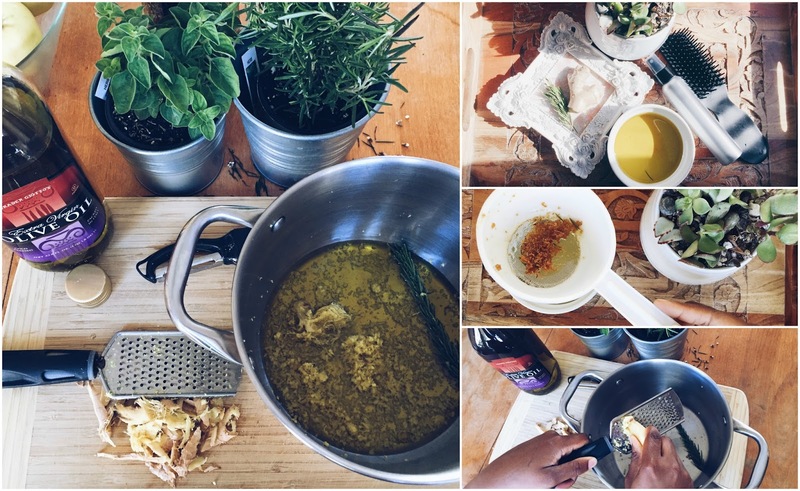 Add grated ginger (and rosemary) to olive oil heated the olive oil on low heat. Remove ginger from heat once it turns and allow to cool. Once cool, strain the ginger out of the oil. Apply to the scalp for up to 10 minutes and then rinse thoroughly, follow with shampoo. 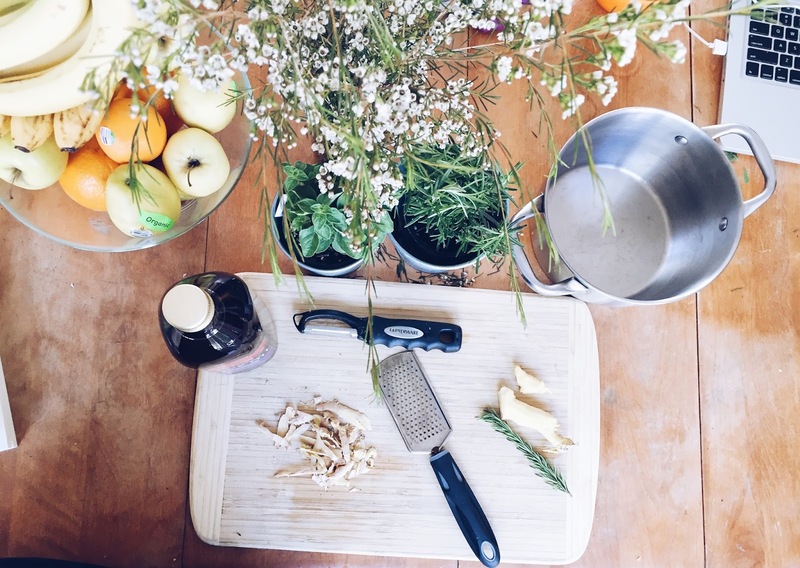 If you want to keep it simple, you can substitute the freshly grated ginger with 1-2 drops of ginger essential oil. I like going through the process of making from scratch though. 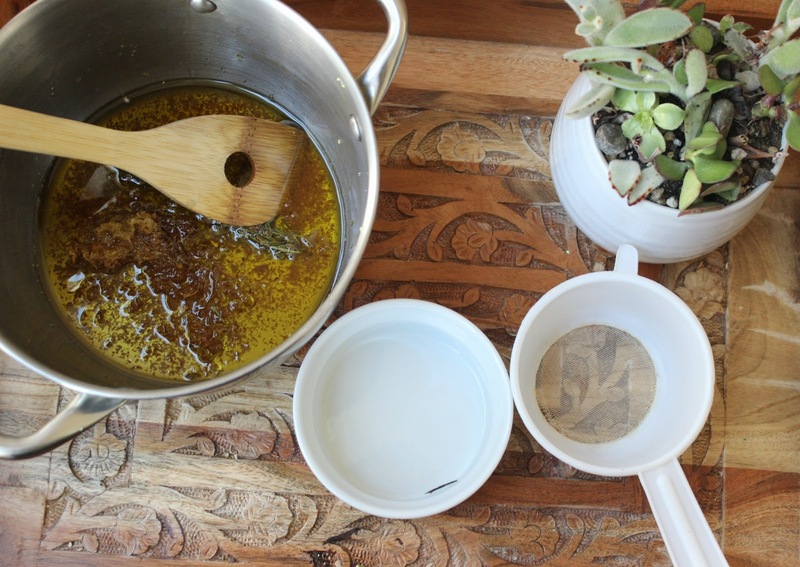 This ginger-infused oil is easy to make at home and can be applied a few times a month. I purchased fine mist spray bottles from here. 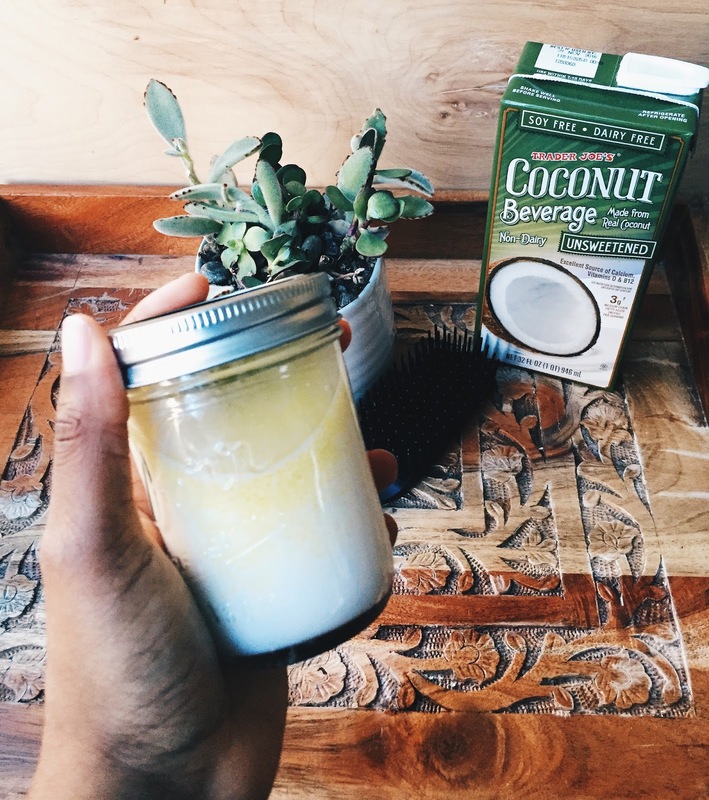 Coconut milk contains healthy proteins and essential fats, both of which boost hair growth. Combine ingredients, apply the mixture to your scalp and then work the mask through your hair. Massage the mask into your scalp and through the ends of your hair. Wear a cap to allow heat to help with deeper penetration. Leave on for 10-15 minutes and then use a clarifying shampoo to rinse the mask out.